We are proud to announce the winner of our What is a Hero Contest. Kaitlyn Armstrong is a sixth-grader at O’Leary Middle School. We met Kaitlyn in May at the annual Career on Wheels held at the Eldon Evans Expo Center in Twin Falls where she picked up an entry to our contest. 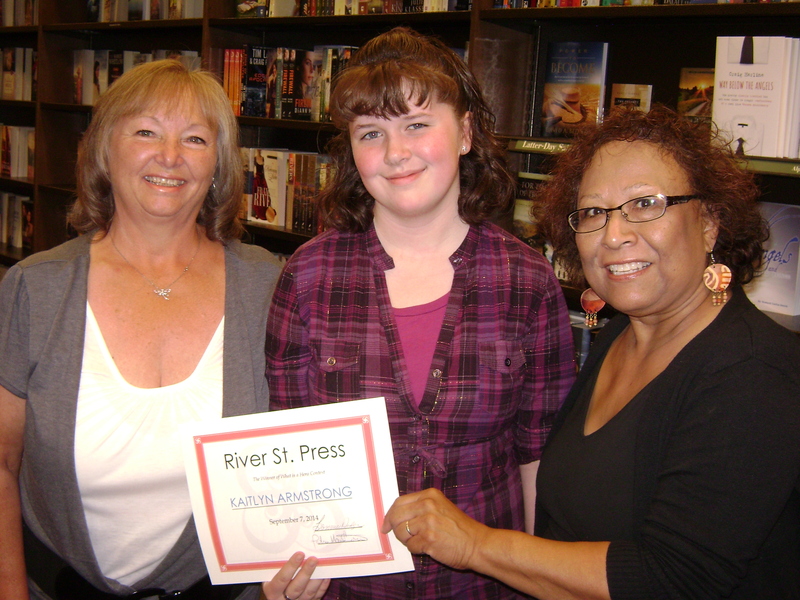 An aspiring writer, Kaitlyn won $50 for her following essay, which she read for an audience Sunday, September 7, at the Twin Falls Barnes & Noble. What do we think of when we hear the word “hero?” Being able to fly? Having super powers? Wearing a fancy cape? Is a hero someone who beats the bad guy or rescues a damsel in distress? When they slay the dragon or ward off the bad guys is the title automatic? To me, a hero is someone who nurtures and cares about who they’re being a hero to. The teddy bear of a young child can be the champion as it wards off the dark and the nightmares in an unfamiliar place. Children witness these acts of heroism, great and small, every day. When children fall victim to the relentless teasing of bullies, the child who stops it is seen as a hero in the victims’ eyes. And it isn’t just with children either. The smallest act of heroism from an adult can be cherished by the recipient. I found that the counselor at my previous school was seen as a hero in most people’s eyes. Easy to talk to and quick to understand the problems she was confronted with, she was the go-to person for problems about friendship and family. For some children it is hard to talk about personal problems with their parents, so being able to discuss things really took a burden off their shoulders. In some cases, being called a hero follows immediately after a courageous act, but in others, it takes time and effort. I believe that in order to become a hero, you must work for that title. Otherwise, the hero must accomplish a deed of great kindness. Afterwards, the hero must live up to the expectations of the recipient and respect, even accept, the title they have been given. Now as I said before, a hero to me is someone who nurtures and cares for the people around them. I think the title “hero” should be earned through acts of kindness and compassion. These are the qualities in a role model I look for, which is exactly what a hero is, a role model, and that is what a hero will always be to me.